Facebook is the most popular online social networking site with over one billion active users all over the world. You need to sign up for a free account in order to use the site. Once you have your account, you can complete your profile, add friends, create and join groups, follow pages, play games, chat, send private message and post links, photos, music, as well as videos. Several users share their personal music videos, as well as their favorite videos from different sites. You may find some videos that you may want to download and convert to mp3. But this is not supported by Facebook due to copyright protections. However, you can find a Facebook to mp3 converter that will let you do so. Here are some of the applications that you can try. This is an online tool that you can use for downloading videos from Facebook. As long as you are connected to the Internet, you can go to videograbber.net and paste the URL of the video you wish to download. This is available for free, though it supports only limited to URLs with http and https protocols. Videos on Facebook are streamed using different protocols. So make sure to check on the protocol of the video you wish to download and ensure that it is supported by the application. Otherwise, you will not be able to grab and download the video. Note that, this application requires users to download and install a component called Launcher that can make the downloading process more stable and faster. Absolutely, Launcher is safe and extremely small, which won’t harm your computer or take too much space on your disk. 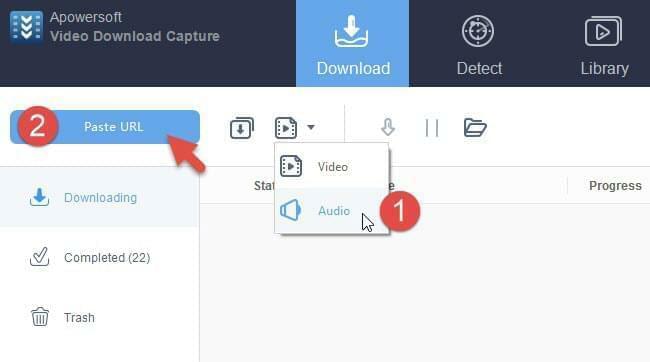 Once it completes downloading, you can go to the tab of “Convert Video” to activate the built-in video converter to convert the downloaded video to audio file format. Upon the panel, there’re multiple audio formats available, such as MP4, AAC, FLAC, WAV, etc. Moreover, you can also click Edit icon to enable video editor which offers some basic editing options for you including trimming, cropping, adjusting playback speed and volume. FreeMake lets you download Facebook to mp3, as well as videos from different sites for free. However, the recent update has disabled other useful features, which can only be enabled if you get the paid software. While it can simultaneously download and convert videos, it also has several drawbacks. For instance, you need to be connected to the Internet for the installation process, which takes time especially if you do not have a stable connection. It does not have an option not to check for updates and it requires .NET4 installation. Furthermore, it installs other programs, though you can uncheck them if you do not want them on your system. But if you failed to uncheck them, they will be installed and you need manually uninstall them one by one to remove them from your computer, which can be inconvenient. Conversion process is also slow so even if you can download videos simultaneously, you still need to wait for a long time to have them saved. 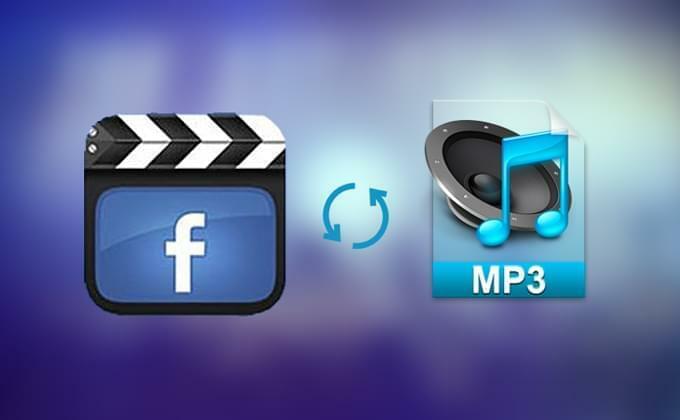 This is another application that you can use to download Facebook video to mp3. It can download almost all videos that you watch online, including those that are posted on Facebook. You can enable the video detector if you want videos to be automatically downloaded. If you wish to manually add the URL of the videos that you wish to download, you can keep the video detector disabled and copy and paste the URL of the videos instead. In addition, this program can also grab audio section only. You just need to drop down the menu and then choose “Audio”. These three applications can all be used to download Facebook videos, as well as videos from other sites. The first option is a good choice if you are only downloading one or a few videos every now and then, and you have reliable Internet connection. If you want a more convenient way to download multiple videos at the same time, you have the second and third options. But since FreeMake has several drawbacks, the best option to convert Facebook to mp3 would be Video Download Capture. Downloading is fast and easy so you can have videos downloaded and converted to mp3 in no time. Rating: 4.3 / 5 (based on 11 ratings) Thanks for your rating!